Sutton (QC), Canada – Free demo days are one thing, but every weekend is pretty unheard of. 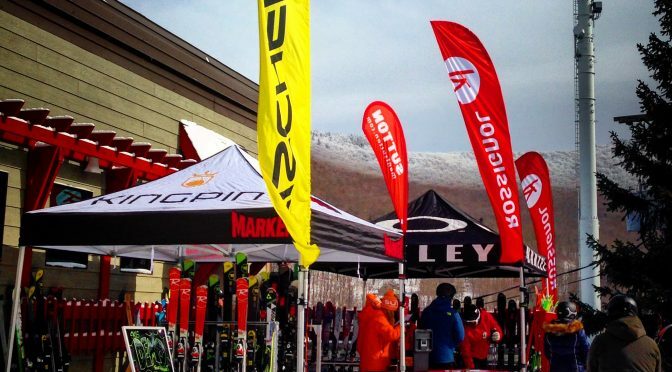 Every weekend until the end of the season, and every Wednesday and Thursday through February 16th, skiers are invited to try out new sticks for free at Quebec’s Mont Sutton. A team of experts will guide snow sports enthusiasts in their selection from one of the largest fleets of premium demo skis in Canada on the Boutique Expérience Sutton Demo Deck. Trying out new skis allows skiers to rediscover the way they ski and reach their full potential. Carving skis, big mountain skis, touring skis –there’s something for every type of skier every weekend. Brands include Rossignol, Atomic, Fischer, Scott, Head and Völkl. 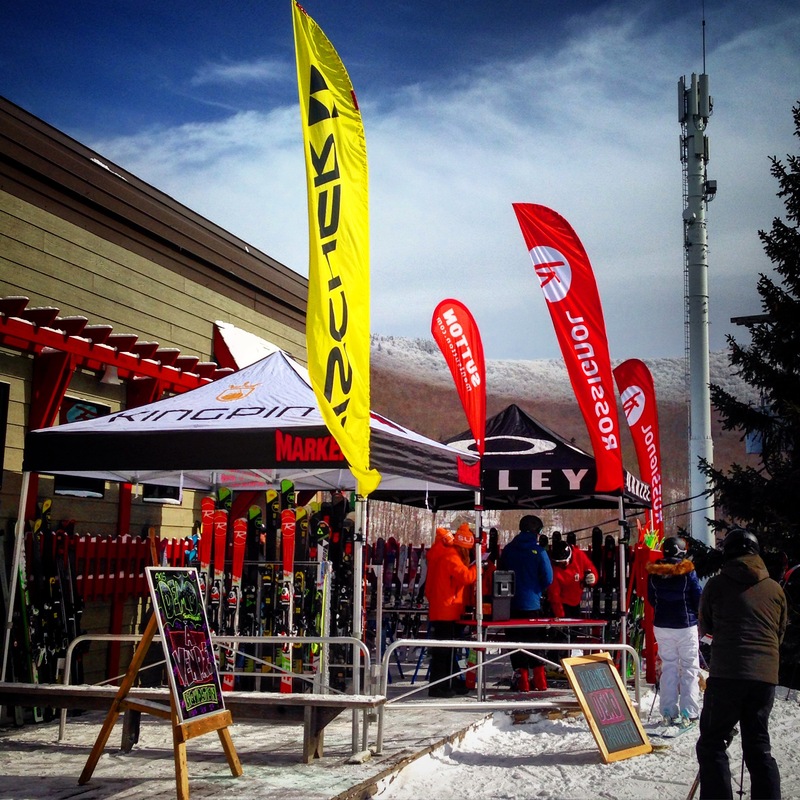 Skiers can try before they buy according to their personal preferences. 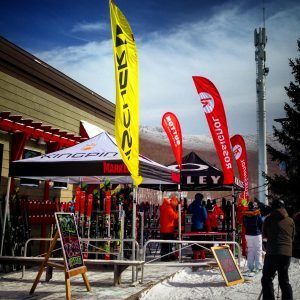 Experts from the Boutique Expérience Sutton will be on-site to give advice, tips, and recommendations to help skiers make the most of the experience. For the resort’s “Suits & Ties” Wednesdays and “Divas on Skis” Thursdays, specific ski demos for men and women will be available at the base of Sutton’s chairlift II. Every participant who tries Mont Sutton’s free ski demos will be entered into a contest hosted by the Boutique Expérience Sutton, for their chance to win a trip for two to Big White Resort in British Columbia.